You are going to Watch Super Friends Episode 13 online free episodes with HQ / high quality. Stream cartoons Super Friends Episode 13 Online The Mysterious Moles. Important research projects have been closed down, and the Super Friends are called in to find and restore disappearing air conditioning units. 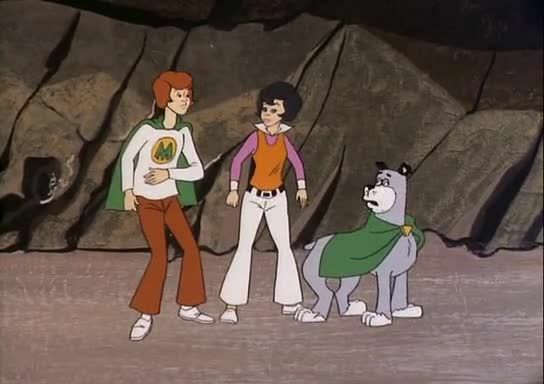 The Super Friends’ mission leads then into a strange new subterranean world discovered by a pair of spelunkers known as the Moles. They are forced to fight the creatures of that world, animated trees and rocks. The Junior Super Friends investigates and discovers that although Dr. Mole wanted to do the right thing and report their findings to the authorities, his wife deliberately refused. She feared if anyone comes to the world, they could not only steal the diamonds, but also ruin the subterranean world like they’re doing to their planet. Only with Superman’s intervention in preventing the escape, Mrs. Mole decides to do the right thing.